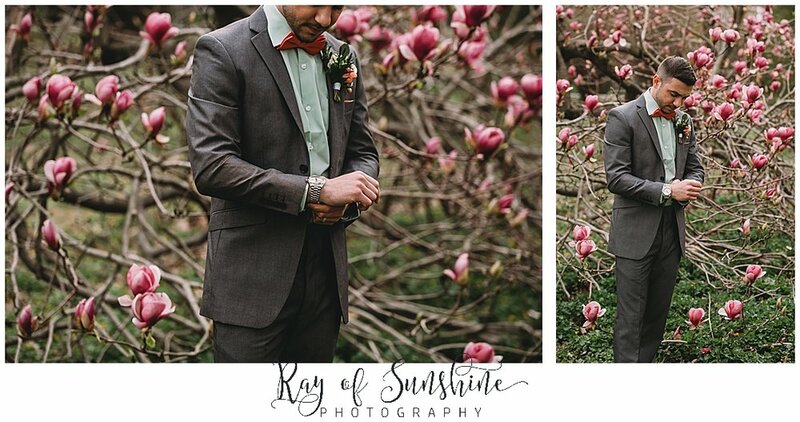 Last spring my fellow photographer friend Andrea Krout and I decided to join forces and get creative for a wedding styled shoot. 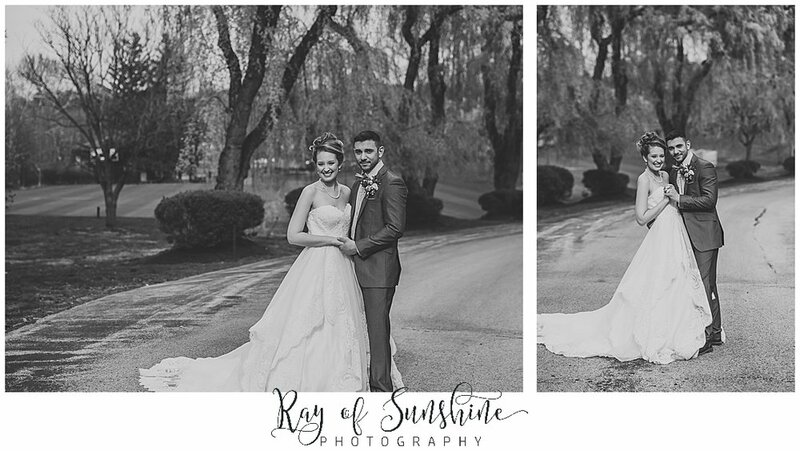 For those of you who don’t know what a “styled shoot” is, it’s where wedding vendors get together to create their own themed wedding! It’s a great way to get creative and design something that we want to showcase. I love being able to think of a concept and see it come to life. I also enjoy getting to work with other amazing creatives in the industry and network. Our concept was focused around the beautiful cherry blossom trees that line the Baldwin School, which was built in 1888 and has all the Victorian charm we could desire! The building has always reminded me of something out of Beauty and the Beast. We wanted to play off of spring with those muted and pastel colors such as mint green, light blue, with cream and lace accents. We gathered an amazing team of vendors who all collectively killed it and made our vision come to life! For our place card table we used vintage chipped shutters and people’s names attached to skeleton keys on clips. We also had a dessert bar outside amongst the blooming yellow forsythia bush. We had custom donuts, macaroons, and a Victorian tea party styled cake as well. I absolutely loved our backdrop and ceremony design. 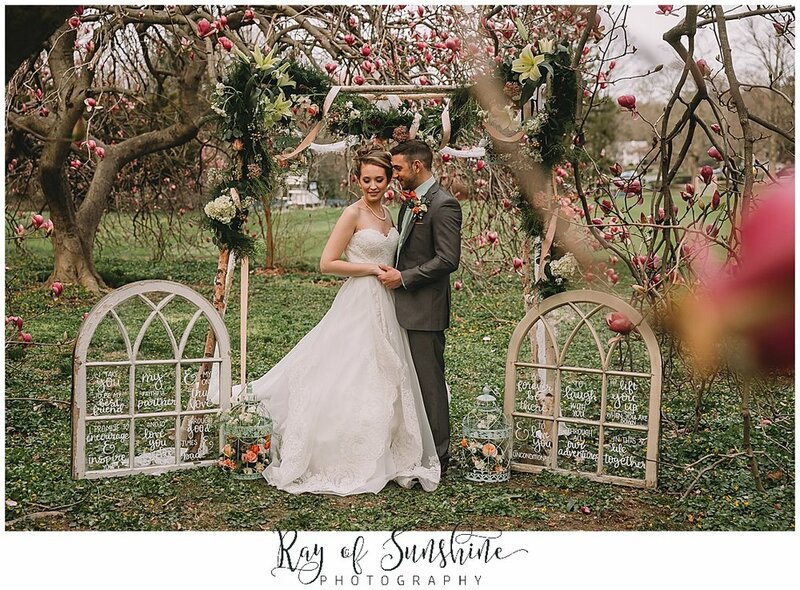 We used a birch arch way decorated with flowers and ribbons and a magnolia tree as the backdrop. My favorite was the window shutters that had the best vows on them. 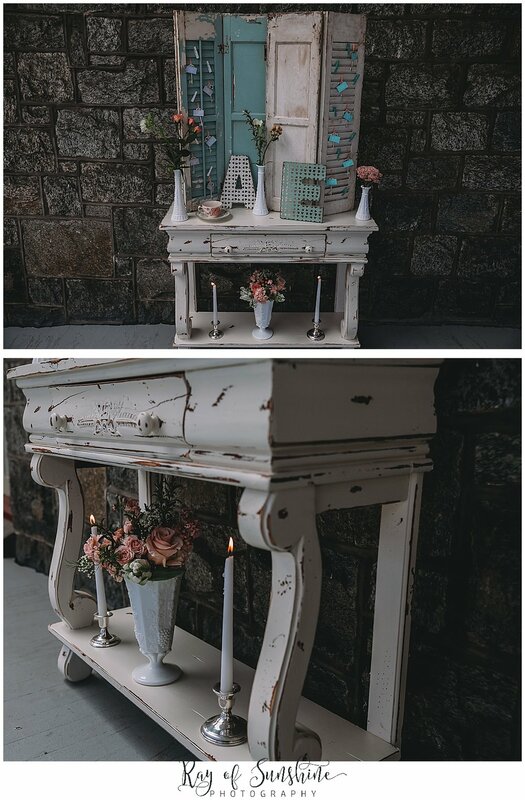 Lastly we featured a table scape complete with birdcages and flowers as the centerpieces, a lace table runner, lace adorned on the back of every chair with flowers, and some candle sticks for that intimate touch. Of course we needed to use vintage tableware and used mismatched plates and cups that went along with our theme. I loved our menus that were written out on doilies, it was the perfect touch! Enjoy some highlights of the magic we created that day and make sure to check out all of the vendors who contributed their talents and hard work at the bottom of this blog!